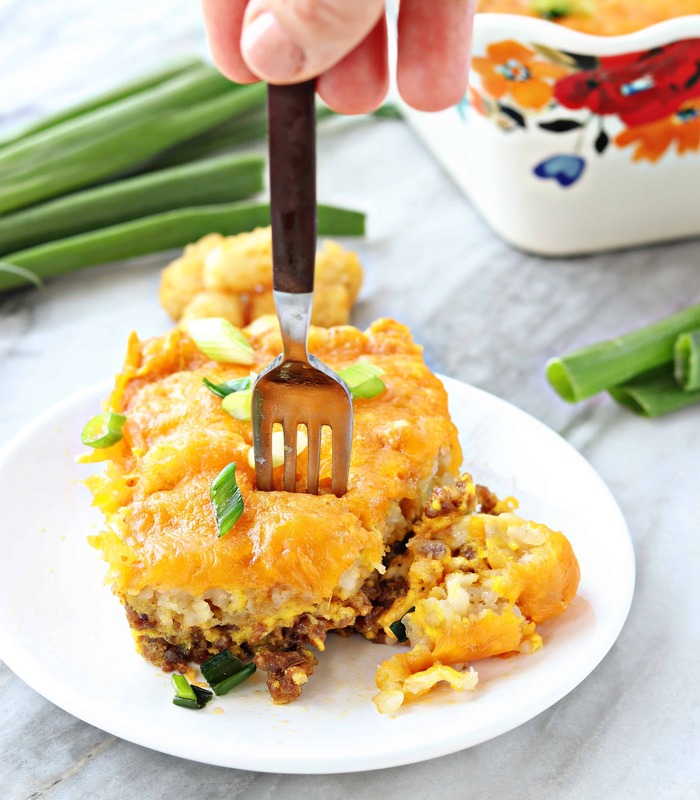 Breakfast Tater Tot Casserole is the perfect spin on the traditional version with farm fresh eggs, breakfast sausage, and piles of crispy tater tots! If you like this, make sure to try my Ham and Cheese Breakfast Casserole and my Breakfast Strata as well! Breakfast is my favorite meal of the day. Some people plan their week around dinnertime, not me. Breakfast, all the way. I love everything from a simple hard-boiled egg to a more complex pulled pork breakfast hash. 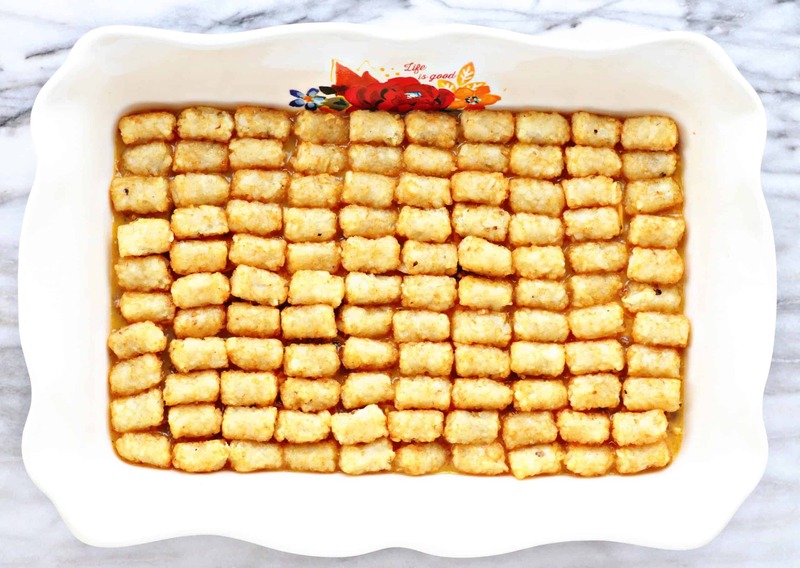 For this breakfast tater tot hotdish, we took my families favorite tater tot hotdish recipe and transformed it into a breakfast meal that will bring smiles to all of the faces at your breakfast table! 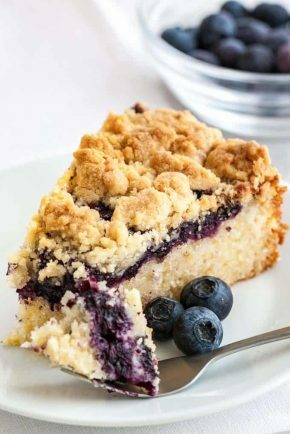 Hotdishes have been popular for years because they are not only delicious and crowd-pleasing but also very budget friendly. You can feed a crowd with a 9×13 inch pan of tater tot hotdish, or, you can easily get two meals from one casserole. 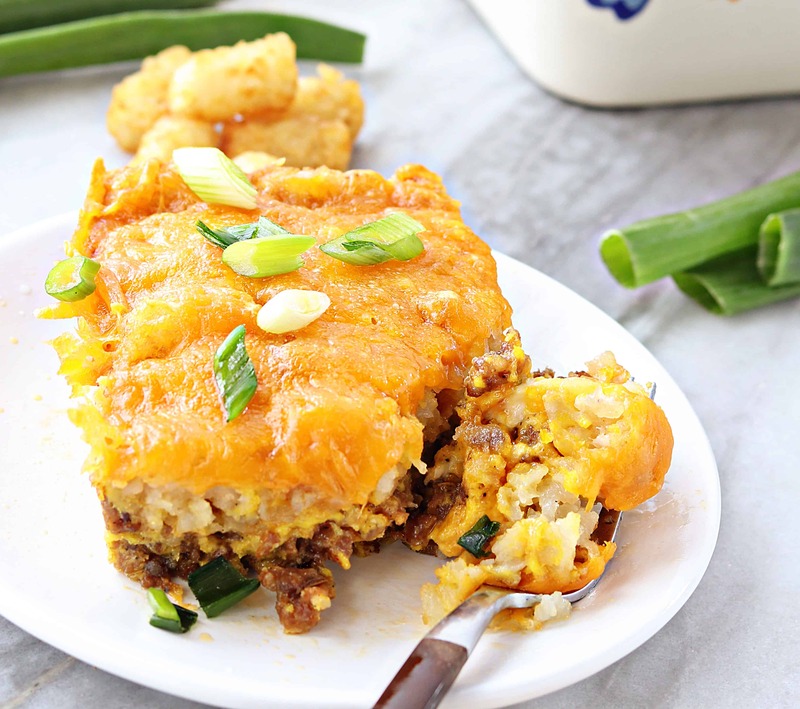 This Breakfast Tater Tot Casserole is best if broken up into two steps. 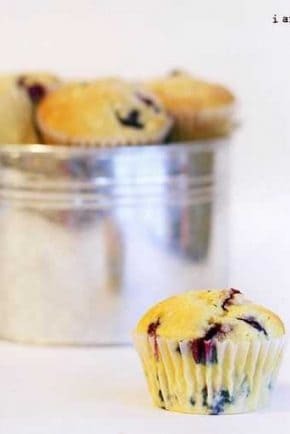 Now, you can skip the first step and just add some cooking time in the end, but the results, when you add this first step in, are so worth the extra time! If you are anything like me, you like your tater tots crispy, not mushy. This extra step is so worth it! Preheat the oven to 350°F. Lay the tater tots out on a prepared baking sheet and pop them in the oven for 10-15 minutes. Take them out and flip them and then pop them back in for another 10-15. You don’t need the tater tots to get fully crispy, just precooked enough that they will crisp up nicely in the final step. While you are pre-cooking the tater tots, you can prepare the egg mixture. 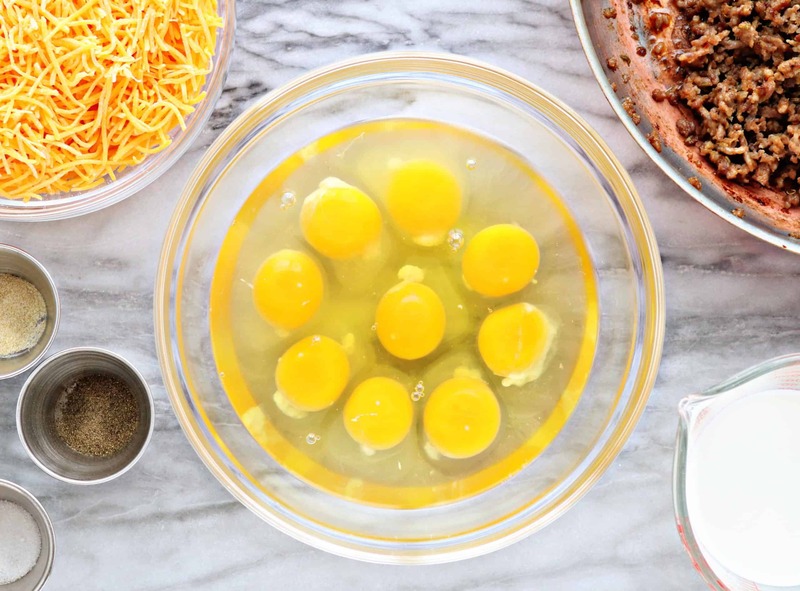 In a medium bowl, whisk together the eggs, milk, salt, pepper, and onion powder. This recipe calls for 9 eggs but if you want to bulk this recipe up you can certainly add more. Next, mix in your cooked sausage and half of the shredded cheddar cheese. Once this is all mixed together nicely, pour it into a greased 9×13 baking dish. Place the cooked tater tots on top in a single layer, being careful to cover the egg mixture completely. I know it is tedious, but setting them in one at a time really helps to ensure that you get an evenly cooked dish. 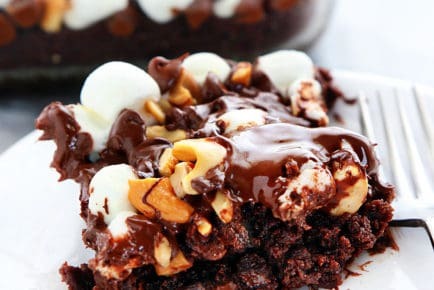 This will bake for an additional 40 minutes. Remove it from the oven, and top with the remaining cheese. 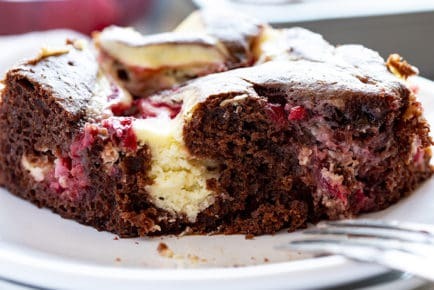 Bake for an additional 5 minutes or until the cheese is hot and bubbly. Exchange sausage for diced ham or cooked bacon, or go vegetarian and skip the meat! 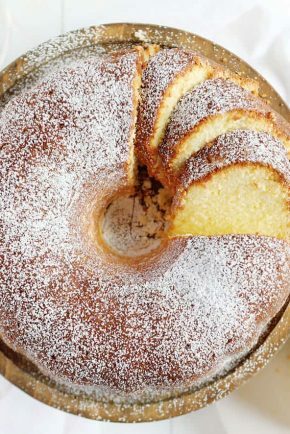 Make sure to try some of these family favorites! Breakfast Tater Tot hotdish is the perfect spin on the traditional version with farm fresh eggs, breakfast sausage, and piles of crispy tater tots! 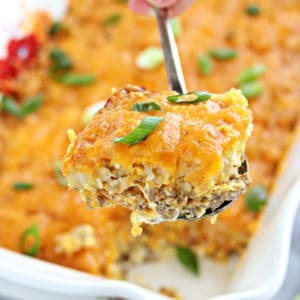 If you like this, make sure to try my Ham and Cheese Breakfast Casserole and my Breakfast Strata as well! Place Tater Tots on a sheet pan and bake for 10 minutes, flip and cook an additional 10 minutes. Add browned sausage and half of the cheese into the egg mixture, stir to combine. Pour egg mixture into greased 9x13 baking pan. Spread pre-cooked tater tots on top, ensuring that you cover the entire mixture. Sprinkle remaining cheese on top and bake for 5 more minutes, or until the cheese is bubbly. 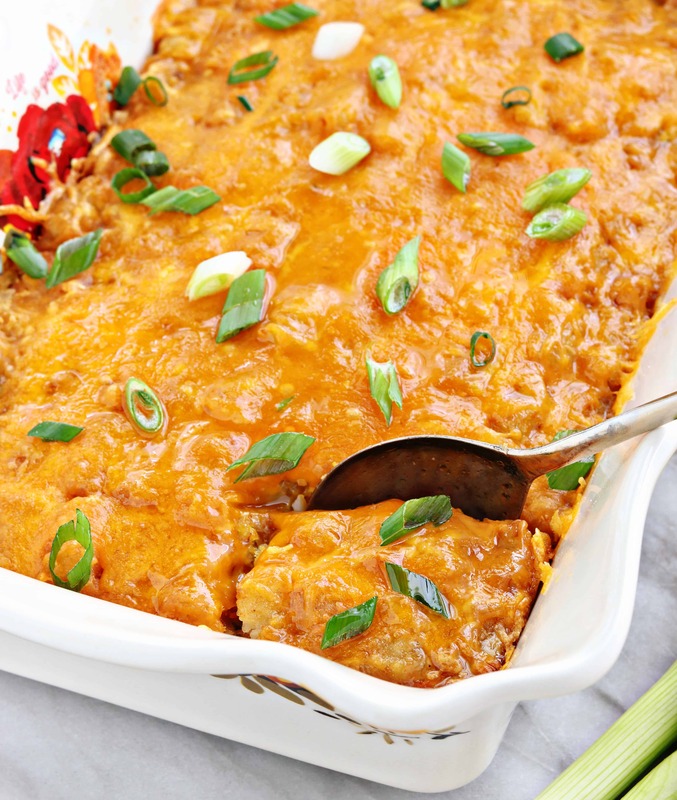 Can the breakfast tater tot casserole be prepared and refrigerated the night before baking? Also, can I prepare ahead and freeze the casserole without cooking for a brunch later in the week. 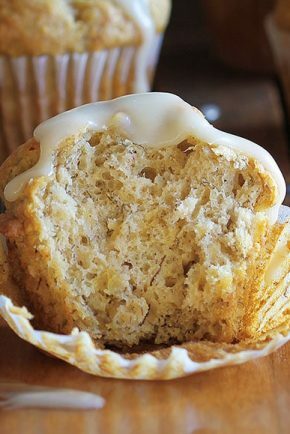 If frozen works, would I need to thaw before baking. Made this for Easter breakfast. Everyone really enjoyed it!